The weather has warmed up and a seasonal wonder is ready for its annual hello. Crystal Cave opened for the 2017 season on Friday, May 26. FRIDAY, MAY 26: The Friday ahead of Memorial Day Weekend is a prime time to connect with a national park. 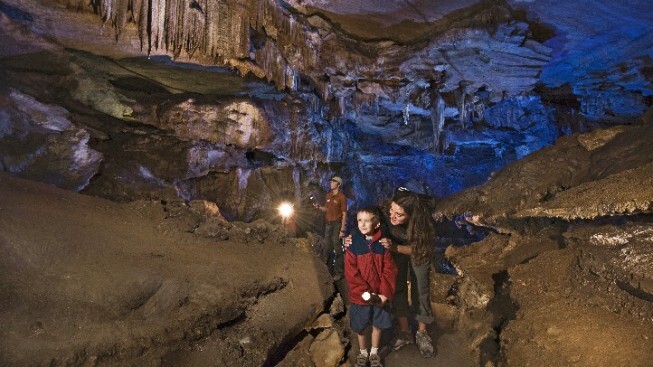 Do note that Crystal Cave will again bid us lookie-loos adieu in September 2017, so choose your tour — the Family Tour, the Discovery Tour, the Wild Cave Tour, as well as others — then buy your tickets and begin your below-ground exploration. You'll learn all about the "... impressive chambers, magnificent formations, rare minerals, unique animals, and a polished marble stream" as you saunter along your cave-tastic adventure. You know there are big caves in the Southwest, and, of course, the South, too, as well as points around the globe. But have you made the acquaintance of Crystal Cave yet, right here in the Golden State? It's a wonder, and one that can be, and should be, enjoyed during the warm weather months.